So super proud of Aaliah and everyone at CDC from teachers to all the kids and everyone behind the scenes! Brag moment even with Aaliah being dx with patella femoral syndrome / disorder and wearing knee braces, doing PT, & etc, she has always powered through, (this is due to her being 5’ 1” & like many people say “HOLY LEGS”) I am so blessed to be your mom! Aaliah, never lose faith & always look to God to guide you, & remember like you said Papa is watching over you and dancing with you so never give up! Always be you baby girl & the best is yet to come! Also thank you everyone at CDC…especially you Ms Nina Jessica Schulte & Mrs Annette Schulte. Without y’all Aaliah couldn’t dance, y’all do way more than you know & I could never thank y’all enough. Ms Nina, you are truly Aaliah’s bonus mom. God put y’all in our life for a reason, I couldn’t raise Aaliah without you, she is who she is because of you and your guidance! Ms Jolie Damen & Mrs Sofia Carey, y’all mean the absolute world to me, thank you for watching over Aaliah day in & out & always being there for her. Without y’all too Aaliah couldn’t dance & I can never thank y’all enough! Mrs Diana Campbell, where do I begin…you see my everything, you’ve given Aaliah this much needed confidence & broke her shell, you’ve taught her the basics and what she needed to succeed, you are not just another dance mama but family! Your family is my family and without you, daddy Douglas Campbell, Isabel Campbell & Sofia Marie Campbell, I don’t know where we’d be! Thank you & we love you beyond words! To all my dance mamas I LOVE Y’ALL! CDC = FAMILY & that is what we stand for and all about! Thank y’all for being my family! Thank you so much for 8 wonderful years of dance that your studio has provided Alyssa. She has grown so much over these years through the dance skills she learned, the friendships she made, and teachers she had. CDC is part of her little story, and I wouldn’t have it any other way! Meeting and watching you and your parents was one of the great gifts that we have received through being part of CDC. I pray God will continue to give to all of you wisdom, provision, protection and success to change and touch the life of a child through your passion for the art of dance! My granddaughter loves this dance studio. Can’t wait to see her get better. Just wanted to say that show was amazing, the level of detail, professionalism, courage, focus of the teachers and dancers really show, scenography/illumination all worked very well. I was happy that my daughter Gimena got to participate in such a show and is part of CDC. It has been a privilege to co-raise our daughter with our Carolina Dance Capital family for the past 5 years. So much more than dance was taught and learned. Lessons that we know all VIP’s will take with them for a lifetime. All our love and gratitude. Such an incredible weekend spent with our dance family at Revolution Talent Competition in Charlotte. It was a weekend full of high awards, many 1st place overalls, including Emilie’s solo, and once again “Lean On Me” received the highest score of the weekend for the second time this season and got a standing ovation by complete strangers in the audience who were simply moved beyond words. However, what warmed my heart the most was a compliment our studio director received and shared with us which came from another studio director who was simply moved by the high level of professionalism and talent our dancers displayed on and off that stage this weekend, so much so that she had her entire company sit in the audience to watch some of our groups perform as a lesson to inspire and motivate them. This right here is worth so much more than any award, trophy, or recognition in my book. Well done, VIPS, and kudos to Nina Jessica Schulte and Kristen Erwin Brown for being such inspiring leaders and role models. Leadership and team morale come from the top, and you both are top-notch in my book, and for that I award you a Revolutionary!!!! Great job once again to all of our dancers, parents, prop crew and our amazing teachers and staff for another fabulous weekend of dance. I am a proud VIP Mom not only for my baby girl, but for every single one of those kids, and I wear it loud and proud. Today as I head to my first competition with this team, I have a grateful heart & feel extremely blessed to grace the stage this weekend with such a humble, dedicated, loving, fun & beautiful team. This team brings out the best in me, & I can’t tell you how thankful I am to call this place my home senior year. I’ve never experienced a year like this one, & there are so many people who have helped make it the best leading up to first competition. Miss Nina Jessica Schulte, you have such a special place in my heart… my love for you is so BIG!! Thanks for bringing out the best dancer in me & making me fall in love with dance all over again. I don’t wanna know life without ya. Mrs Kristen Erwin Brown, you make such a difference in my life… you really get me. You just never fail to make me laugh, & I just aspire to be as full out & outgoing as you as a dance teacher when I get older!! I love you so much!! Lastly, Mrs Annette Schulte + moms who help, thank you, thank you, thank you for all the time & work you invest to ensure our costumes are rhinestoned to the MAX. You make us feel so beautiful… the costuming is pure perfection!! I’m so pumped for this season & to see what fun it holds!!! Love my CDC FAM! I have been so busy since we got home from nationals in Ocean City that I haven’t had the chance to write about it. But Wow, just Wow! In all of our years of competitive dance, I don’t think I’ve been to such an amazing nationals with such amazing talent from so many different studios. I was so proud of Sarah and all of her CDC teammates! I was so impressed with the kids and the parents and the sportsmanship that our studio showed. I can’t thank Nina Jessica Schulte, Kristen Erwin Brown, David D-Mann Mann and the rest of the CDC staff enough for bringing out the confidence in my girl this year. She was already an amazing dancer, but she was lacking that spark and didn’t believe in herself anymore. It was a difficult decision to change studios after being at one place for 15 years, but everyone was so welcoming and I can’t thank CDC enough. I feel so behind in posting but wanted to give a huge thank you to Nina Jessica Schulte for the amazing Ballet Intensive this week at CDC. Georgia loved every second and hasn’t stopped demonstrating for us all that she’s improved on. She was so lucky to be in the studio all week with some of the best teachers around and the love they poured into my child and all the kids at Carolina Dance Capital will last a lifetime. Feeling blessed Georgia gets to be a part of it all! Proud to have my girl be a part of such an amazing dance studio. They completely rocked the house at Star Quest with so many awards. And with each competition my girl gets a little better! 1st runner up to Miss Teen title and in top ten! Thank you Nina Jessica Schulte and Kristen Erwin Brown for the love and dedication to all of the dancers. Anna DeGaetano Insolia – reviewed Carolina Dance Capital — 5 star! My daughter entered the competitive dance world for the first time this year. She had come from an excellent performing arts school out of state which was completely different. We were scared and unsure. I can tell you without a questionable doubt that this studio welcomed us with open arms and love. Making us feel like family and taking my daughter under their wing. All of the instructors are top notch and have helped my daughter to advance and grow even more! So glad we found our new dance home. Couldn’t be happier. HIGHLY recommend for any level dancer. Had my daughter’s 4th birthday party here in January. It was wonderful. Diana was fabulous with the girls and took the lead on entertaining them with activities and fun. All of the parents loved that!! We were amazed she taught them a dance in such a short amount of time. It was especially nice to have the room all ready with balloons and party decor. I only had to worry about bringing the cake and snack items. It’s been an exciting last few days in our house!!! First, Carly’s dance studio had their holiday reveal so the parents could see most of the group dances they will be competing this year. I was completely blown away by the amazing choreography and the level of talent these girls have!!! Switching studios this year was one of the most difficult decisions Carly has ever had to make. We still have friends at our old studio that we love and miss dearly. Carolina Dance Capital welcomed Carly and some of her other dance friends with open arms. The parents and kids could not have been more welcoming and supportive. Nina Jessica Schulte, thank you so much for all you have done for Carly — you inspire her, you encourage her, and you have renewed her love for dance!!! I can never thank you enough but I sure will try!!! So proud to be a part of the CDC family!!! We have a 3 year old daughter and she was in the summer program here and she loves it. She has made friends with the teachers, and students. We also put her in the yearly program for ballet. The teachers here are so patient. Looking forward to every Saturday here with them. My daughter loves the teachers so much she talks to them nonstop 🙂 They teaching her how to dance and tap dance. Her favorite is the tap dancing. She goes bananas when they start to tap tap tap 🙂 we are so glad we are able to call this dance school my daughter next home. Thanks to her summer teacher who was very patient with her and gave her the attention she needed. Words can’t express our gratitude towards everybody at CDC, but especially you!! You know how we feel about you & how thankful we are. We’ve been through it all with you, but now it’s time for us to move onto the next phase of Nicole’s journey. She may not be in room 1 & 2 every night, but you know she’ll be back!!!! I had to wait till today to comment because I am emotionally drained, the end of an era will miss our dance family, thank you for the friendships and to the tireless prop dads and moms for all that you do. Nina thank you just doesn’t seem enough to say for the confidence and work ethic you have instilled in all your dancers. Brianna was lucky to have been a part of this team you have prepared her well for her next chapter but we will always call CDC our home. We just had my daughter’s birthday party at Carolina Dance Capital, and it was fabulous! She and her friends loved dancing, playing games and dressing up in princess costumes. It was fun and well organized, and the decorations and goodie bags were perfect for our theme. Thank you for a great party experience! So blessed to be a part of the Carolina Dance Capital Family. Charlee has grown so much as a dancer in just 1 year here. Thank you so much to the staff who spend so many hours making CDC a great place to be. Thank you Sue for always smiling and giving both girls hugs every time they walk in the door and making them feel special. Thank you Kristen, Kasey, & Nina for the countless hours you’ve spent not only being great teachers but for being wonderful ladies that both my girls love and someone they can look up to. Cindy, Samantha, Travaul, Lindsay, and all of the “Dance Moms,” thank you for your friendship someone I could count on for anything from a safety pin, a video of the girls that I didn’t record, or just letting me know when and where I should be any day of the week ☺. Looking forward to the future with you all. Being new to the South, I realize how blessed we truly are. We moved our daughter away from all she ever knew including a studio she danced at since she was very young. We joined a new studio here and found not only a fabulous group of new friends but a place where they truly care about each and every dancer. The memories we have been making with our new CDC family are priceless. Really grateful to be part of the CDC VIP family…this has been such a great season so far, and not just onstage…yes we have seen Eve grow so much since she joined this team which is wonderful….Off stage however, the enviornment has been so rewarding and FUN! The director, owners, all the staff, families and kids have been just a joy to be around. Feels great to be part of a positive, hard working team and it is really like family and we are glad to be a part of it. My oldest daughter has been with CDC for 3 yrs doing recreational dance and my family couldn’t be happier! She has grown so much as a dancer and loves Ms. Diana. This year she added Gymnastics as a class and is excited to be with Ms. Sam and Ms. Taylor. She loves going to classes and always looks forward to Recital day. I also have a 3 yr old who grew up seeing her sister dance and asked me to dance this year. She is eager to go to class and loves Ms. Anna! All teachers are so loving, they truly care for the children, and teach them how to be great dancers. Ms. Sue and the other staff at the front desk are very friendly and professional and are always ready to help and please the customer! The communication between the studio and families is wonderful always through e-mails, Facebook updates, or handouts. This studio is amazing and I would recommend it to anyone who wants an excellent, fun, and loving place for their child to learn and grow! We feel like a family even though my girls don’t do competition. Thank You!!!!! BY FAR THE THE BEST STUDIO IN THE REGION!!!! Coming form a 25 years+ Professional Dance Career both my husband and I have very high expectations when it comes to where both of our daughters dance, train and spend most of their time other than school! I am proud to say that Carolina Dance Capital has not only met my expectation but also exceeded beyond words can express in every aspect, Facility, Administrative Staff, Professional Faculty and so much more!! Both of my daughters started dancing at a very young age in the Recreational Program and looooved it, shortly after and with the inspiration and dedication of staff, teachers, Carolina Dance Capital very own Competitive Company (VIPS) with hard work my daughters joined the Competitive Program. Carolina Dance Capital is their family is their Home!! Both of our daughters have grown and learned tremendously with their dancing and as young ladies. Thank you CDC for all you do!!! Carolina Dance Capital is a Dance School of Excellence!! Highly recommended!! My daughter danced competitively for 8 years with a local studio. We tried CDC and there was no going back!! The studio is spacious, clean, and entire staff amazing. They recognize talent, motivate and sincerely care about each dancer. My daughter has been challenged more in one week than the last 5 years. All communication is via email and drop box. Website is amazing with login to personal account to track your child’s attendance & pay bill on line. What a breath of fresh air!! Excellent environment! Everyone has been great! My daughter loves it here! I wanted to drop a quick line to thank Carolina dance capital for organizing the birthday party for my son, Daniel, in late March. The kids are still talking about the party. Yesterday, I passed by the CDC building and my son started asking when he would go back… The children had a lot of fun, special thanks to Diana and the girls who helped entertaining the kids – they were phenomenal. My daughter has been dancing for 6 years total of which 4 of those years have been competitively. At the previous studio she was dancing at, which is also a local studio, things began changing over the last couple of years and we became disappointed with the level of instruction that was being provided and the lack of opportunities for growth. After making the decision to leave we researched local studios in the area and were thoroughly impressed with Nina Schulte, the Artistic Director, her staff, and the studio. I am not one who enjoys change so during this process I wanted to make sure that we made the best decision possible for our daughter so I asked Nina if we could meet in person as I had lots of questions I wanted to ask about her program. Nina immediately scheduled some time to meet with me and gave me her undivided attention for over an hour making sure to thoroughly answer each and every question I threw at her, and trust me there was at least two pages typed worth of questions. When I left that meeting I knew this was the perfect place for my daughter to continue her passion for dance. It has now been a few months and we couldn’t be more thrilled to have become a part of the CDC family, and I truly mean family. Everyone is so helpful and supportive in every meaning of the word. Words cannot express how caring, talented and supportive Nina and her staff are to the girls and parents, as are the dancers. They welcomed my daughter immediately and took her under their wings and the growth she has accomplished in this short time is astonishing. I knew this was going to be a great change but CDC has gone above and beyond all of my expectations thus far. Whether your child dances recreational or competitively please consider CDC as you will not be disappointed. Thank you Nina for all of the opportunities you are providing. I look forward to amazing year and being a part of such an amazing team!!!!!! I have two daughters that have great dedication to dance – they eat and breathe it every day of the week. We were at another dance studio in Charlotte and had become disappointed with the level of instruction that was being provided. After making the decision to leave the other studio, we decided to make visits to each of the other area dance studios. My daughters attended a group class at CDC to try it out. When we picked them up they were very quiet until we go into the car and then they both just started screaming how awesome the class was. We asked them if they wanted to check out any of the other studios and they said no way – they found their dance home. We have been with CDC for over two years now and couldn’t be more thrilled. They have a great support system of other kids that are equally dedicated and accomplished with the same passion for dance that they have. The kids all cheer for each other and are so supportive, which you don’t often see at many dance studios. Nina Schulte, the artistic director, and the staff are some of the most talented instructors in the nation. If you are looking for the best instruction for your child, I can highly recommend Carolina Dance Capital. I want to say thank you for all you did for me in CDC. You helped me so much, you were so nice with me… You made me love dance even more, and you helped me become less shy. And of course, learn and have a lot of fun. I will never forget you. Thank you very much, Anna! If you have a dancer you owe it to them to visit Carolina Dance Capital. Nina J.Schulte saw the potential in my daughter and the staff has elevated her this past year. Joining the CDC Dance Family was a blessing. I just wish we had known about them sooner. Words can’t even express how grateful we are to you and the CDC family. You are beyond amazing and bring out the very best in all our kids. Can’t wait for this season. Thanks to Nina and the rest of CDC staff for their hard work , vision, and leadership! Most of these girls started dancing together just two years ago. What you all have accomplished in such a short time is impressive! We have a true team who supports one another and views CDC as family. Our kids are exceptional! So happy to be part of this special group! My girls have danced in the recreational and then competitive dance programs at CDC for 4 years. We found this studio at Adamfest when we first moved here. We have just loved dancing at the studio. The studio is a family to us. The teachers are fabulous and truly care about the kids in dance and in life. The studio is very new, clean and professional. After going to dance competitions we realized we were with the best studio around! If your child is looking to dance, this is your place! Great week at dance camp! Thanks Carolina Dance Capital. My girls had an awesome time! They can’t wait for summer and fall sessions! …..please know that being on a CDC competition team has been the best decision we ever made for the girls. The confidence they have gained cannot be compared. I tell everyone that asks if they should do a comp team…absolutely…and to do it with CDC. I and my girls are so lucky to have fallen in your path! Our whole family has learned so much from dance, more than I ever expected to learn. Your studio puts out the most beautiful dances and dancers…I will so miss seeing them! We will however be one of those families that is happily sitting in the recital next year waiting to see what master pieces your teachers have come up with. I know you guys work so hard to have the most fabulous studio around…and it shows! My daughter and I attended the recital and were blown away. We are looking for a new studio. She was previously with a competition company. We are currently in Fort Mill district. …..Wow what a weekend for Carolina Dance Capital not only did we take 1st overall in almost all our categories we did it with dignity and class. Many times in life we as parents can learn from our children, and did they ever give us a great lesson this weekend. I am so proud of everyone of those kids it brings tears to my eyes, and for those of you that know me that’s no easy task. To watch our children turn what could have been and in most circumstance would have been a negative experience into the most passionate dancing I have ever seen. The kids took what should have been anger and turned it into passion on the dance floor. it goes to show what great mentors the CDC staff is for our kids. It brings a whole new meaning to VIP (VASTLY INSPIRING PASSION). So proud of the Tiny Team after their first competition! They had such a great time! Thank you CDC! This will be a long read but worth it. what an amazing dance competition this last weekend was. The girls just blew me away. They danced beautifully. . They swept the entire comp but the best thing that I noticed was that they were truly a team. Lots of hugs and was even hugging and congratulating the other studio winners. True sportsmanship at its finest. I am proud of all the girls for the young ladies they are becoming. To nina and staff. You guys are past explanation of words. I look back 2 years ago and where girls are now and I am just amazed. In short CDC is truly a blessing and unique studio. Great friends, caring staff and top shelf big hearted dancers. So thankful for the chance to work with such amazing dancers at Carolina Dance Capital !!! Thank you miss Nina Jessica Schulte for working with me! Can’t wait to see y’all again! Lets dance!! Thank you to the Carolina Dance Capital for giving me the most amazing experience this week! Getting to meet and learn from all these amazing choreographers! It was so inspiring! So happy to be a VIP at CDC!! Never had a doubt Nina, we still benefit from the impact you and your family have made on us!! You continue to do great things and have such tremendous positive influence on the lives of these young dancers!! Our biggest regret is that our work schedules didn’t allow us to get to see you in person, but I watched as much from nationals online as I possible could!!! Congratulations of continuing to live your dream and know we are excited to see what you come up with next year!!!! This was hands down the best experience we have ever had at nationals or any other dance competition….The CDC staff, parents and kids are truly all a team…..And the girls reflected all of that on stage this past week….David took on goliath again….and the CDC girls showed that not only can they hang with those big studios, but win against them..Thanks Nina and all at CDC…..
Nina, T. and I couldn’t be more proud of the studio as a whole, and the amazing teachers that work with our kids. So happy we are with CDC. Such an amazing family to belong to. You have accomplished so much in one year and grateful the kids have you as a roll model. Nina, the success of the studio is the direct reflection of your leadership. The parents trust you, the kids look up to you as a role model and your staff loves working for and with you and most of all you have the unwavering love and support of your family. We are so thankful to you and your family. Congratulations on a great year, that culminated into a great recital! We really appreciate you, Nina, and all the other wonderful teachers, parents, and kids at CDC! You are AMAZING! 2013 Recital was absolutely incredible! CDC put on one of the most creative, entertaining, and inspiring shows. Your teachers and students did an unbelievable job. Well done. …. I just want to thanks Carolina Dance Capital, to make magic come alive for all of their dancers! It was a terrific Recital! Alyssa’s experience was so powerful and full of happiness! It was definitely a personal growth moment to our little girl! Our family and friends enjoyed watching every moment. It was clear how much work went into every movement to every beat, among ALL of the dancers. Really well organized and outstanding performances! It is a great pleasure being in the CDC family. You guys made us proud and happy parents! THANK YOU! Excellent school! My son has been dancing at CDC for nearly two years and started at age 2.5. I am amazed at his progress, and the care and encouragement he receives from his instructors. I highly recommend CDC. Nina,I just want to point out that the the way the kids are at your studio is a direct reflection on you as a teacher and leader. You set a wonderful, positive tone in the studio and it shows in the kids. Kudos to you for a phenomenal job! It has been a pleasure for us to be at your studio and I am grateful for the interest you have shown in Hannah. You challenge her and I have seen tremendous growth! I am looking forward to a great season with CDC! Nina, i am sorry for the late email but i felt like i needed to reach out to you. The girls truely truely had an incredible time tonight. They are both very heart filled girls that take dancing very seriously btu also really need to feel like they have a connection with their teacher and trust and believe in them. After B’s class her and i went for a nice walk and she threw her heart out on how you inspired her and she felt so energized and inspired by you. Her and i seriously prayed that C would feel the same way. When we picked up C she didnt say a word until she got in the car where she announced “momma, that was seriously the best class i have ever taken”. We talked as a family and though we were originally going to try both boot camps, we feel like we have found the girls new dance home and are going to trust and stay committed to that. I hope you felt the same way about your experience with my girls. The girls really loved your focus on ballet and lyrical and just feel like they have a connection with you. Thank you so much for your patience with us over last year and a half. We look forward to a great season with you!!! We are so excited as a family, yesterday was such a fresh, clean, new day!! Loved seeing Nina so happy!! L,S,K, and D are looking forward to a great new season!! Thank you too for all you have done for us! Just wanted to drop you a quick note to tell you how happy we are at CDC and how much we are looking forward to the new season. When I looked in the window last night and saw how happy B. looked I felt that a weight had been lifted off my chest, I slept really good last night for the first time in over a week. We know this is where we need to be. …….Samantha loves dance more than anything. She would dance everyday if she could. I am happy that she has found what she truly loves already. I think you guys have helped her in that. I wanted to thank you all for helping her this year. I was in shock when you awarded her the solo last year. It has helped her dancing, confidence and technique. I hope you are all as proud of her as her Father and I are. She pushes herself in practicing even at home to make you guys proud too. I cannot express our thanks enough in an email. She is already looking forward to nationals and even more dances next year! She is very proud to be a CDC VIP and we love you guys!! Thanks again for everything you have done for her. P- recious extended family who we LOVE DEARLY. Lindsey (age 8) March, 2012: I feel really proud and confident about our dances and our team. I really love being part of the VIP’s. I wasn’t expecting to be chosen to be in competition, and I think I have really improved because of Ms. Allyson, Ms. Jessica, Ms. Nina, Miss Taylor and Ms. Anna. They all really inspire me. I wouldn’t have improved my dancing so much without them. Being a VIP has made me a better person because I can dance what I am feeling, and let my feelings out. It really makes me happy to have such great friends and great teachers. I love being with my friends and being able to dance like we all like to. I love being a Mini VIP! My daughter has danced at this studio for 6years. She has grown tremendously as a dancer and as a performer. The teachers care about the “whole” child, and support their dancers in their lives inside and outside the studio. I love knowing that my daughter spends time with teachers who love her and who push her to be her best. She has more confidence and poise that most chidlren her age, and this comes fromdance. I am a dance team coach for a local school, and have been to recitals for many other studios in the area. Our dancers are by far the best in the area! Love this dance studio! Knowledgeable, experienced and caring teachers that love to teach and it shows. Friendly office staff and management that are eager to help. Our daughter attended 2 other studios before we moved to Charlotte, and I can honestly say that this is the best studio by far. We can’t believe how much she has improved in just one year. Loved the annual recital and enjoyed watching their competition teams perform as well. Such great dancers they train at this studio. Could not imagine attending anywhere else. Simply the best! We competed again this studio a few years ago . They were awesome and my daughter told me she wanted to dance for them if we ever live in North Carolina. Two years ago she got her wish when we moved to the area. She has grown so much over the last two years as a dancer, and young lady!! We have been involed with this Dance Company for four years now. My kids love the teachers, They are pushed to be at the top of their level. The Teaches are not only great teachers but they really care about the children (all of them). 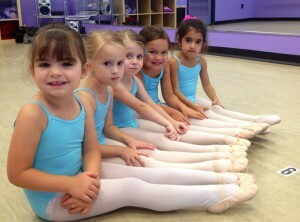 The Dance center is easy to get to from 485 and is very comfortable for both kids and parents. This is where my kids will grow up to be great dancers and have a great time along the way. Thank you Carolina Dance Capital for being such a big part on our kids lives. This studio is the greatest studio in Charlotte. My children love dancing here and have been seen they were young. They have loved the whole atmosphere the people at this studio bring. This is a great place for your kids to grow up. I love this place. This studio is the BEST in charlotte. No other studio has a facility this one! Knowledgable and caring staff that actually TEACH the kids how to dance. Friendly from the moment you walk through the door. Definitely have nothing but great things to say, I’ve visited otherdance schools, happy to say Carolina Dance Capital is where my girl loves to be. Outstanding instruction and organization,where kids feel at home and learn how to dance. My daughter danced here since age 3 and loved every minute. great teachers. fabulous location. and best of all, our kids are having so much fun! I want to offer my sincere thanks for everything that you do for my daughter. She has grown so much as a dancer, and her poise and confidence is like no other among her classmates at school. I love watching her get excited about new technique, new choreography, and learning to do new things. Recently, Olivia auditioned for a musical for 4th and 5th graders at her school. There were 58 students auditioning for 8 roles. Priority was given to 5th graders for the roles, and everyone else was cast as back up ensemble. my daughter (a 4th grader), was cast in one of the roles, and will have a primary position on stage as a narrator, singer and dancer. In fact, in most of the numbers she is front and center. I had a parent come to me last week and tell me how much she stood out among everyone on stage, and that she could not watch her own child because she was watching my daughter. I tell you this only because I credit it to DANCE and the CDC teachers. You have taught her to perform, and along with that comes confidence. All of your dancers will stand out among the general public because of the skills they have learned with you. BetsyS 8.31.2011.… H.really enjoyed the atmosphere at CDC. Your studio seems very well organized, and the teachers are very professional. He already felt at home, which is a shame because he is really going to miss it. Holly G. 8.26.2011… I wanted to let you know that while we thoroughly enjoyed the last two years of dance, Dana wanted to take a break and try Tae Kwon Do this year.We have been very happy with our Carolina Dance Capital experience and frankly, I did look at a few other dance schools when I thought the schedule might not work out, and there is no comparison. Thanks again, and we hope to be back with y’all another time. MKat 5.17.2011….we wanted to let you know how much we love being a part of the CDC family! M. has never been happier with dance 🙂 Our first year at CDC has been such a positive experience. We have been to other studios….and know what a great place CDC is! MCShep 5.8.2011 2011 Annual Recital…..
Chrissy McC 2.28.2011….I just wanted to let everyone know how happy I have been this year on so many levels. I know it can’t be easy moving into a new space, getting a new name, and everything else that goes along with running a business. I am thrilled with the level of communication this year. I certainly feel as if I know what is going on well in advance, which makes planning easier. Thank you for making my child part of your family! Carmen 2.20.2011….I would like to take this opportunity, after our first reveal, to thank you for all your hard work and dedication. We are so pleased by what we see. My daughter has improved sooo much. And judging by the girls that have been with you for various years, I’m confident that we picked the right studio! Thank you again and we look forward to her continuing growth at CDC! Tracy 6.15.2010…… My name is Tracy and my daughter Madilynn took your technique class last night. I just wanted to send a quick note to say what a great class it was! So many of the girls were friendly and introduced themselves….what a great first impression! Thank you for letting her take the class. Harvey W. 5.12.2010…..Hi Folks! – First I want to congratulate you on a fantastic recital program this past Saturday. My entire family, from grand parents to grand children thoroughly enjoyed the program. Outstanding and exceeded my expectations. Again, thank you so much for making this dance experience so special for Isabella and her entire family. This past weekend, I stopped by Spartanburg Memorial Auditorium to watch some of the dancing. I was so impressed not only by the quality of technique and artistry offered by the dancers from Weir Dancin’, but I was also blown away by how supportive they seemed to be of each other and the people around them.. I am the grandmother of one of your younger students, Jordyn Wiggers. Between Jordyn’s mom, Kristen, and my other daughter, I have spent almost 20 years at dance recitals and competitions. We were saddened when they had to move from their dance studio in Ohio to Charlotte. With Kristen’s dance background, she did a lot of research to find one that might be the same quality as her Ohio school. Well, after attending the recent dance recital, I am so pleased that she has even found a better studio. The dance quality was outstanding even for the younger students. Jordyn has made great strides this year with a terrific teacher and I am thrilled that her love for dance continues. I am very impressed by the family atmosphere and the class size. In Ohio, the tiny tot classes were so large and then combined for the recital that it took most of the number to even find your child. I know Kristen passed on another quality studio closer to her home because of the class size. I just want to thank you for doing dancing the way it should be and for making the transition such a great experience for Jordyn. I am excited about her dancing future under your direction. I have been dancing at wier dancin for 9 years and all I can say is WOW!!!! I have never met a more professional staff who go above and beyond being teachers and have become mentors, best friends, and idols to all of us. The kids are great too! My best friends are here and I would never be the same person without them. We have some of the best choreographers known in the dance world to come in and teach master classes. I have gained so much from going to Weir Dancin and I wouldnt trade it for anything in the world. If you are looking for an AMAZING time and dance experience, Weir is deffinately the place for you. Two thumbs wayyy up! Pros: Everything, the teachers, the kids, the instruction, etc. We’ve never met; however, I just wanted to send a little thanks to some of your girls from the studio. We were at WILD this past weekend and your girls in the junior room were wonderful! Not only are they talented, but they were also so sweet and kind… we had a couple younger kids in the same room… while they were all practicing a few last times for the audition/finale, some of our kids asked your girls to help. And they accepted so graciously! It’s so nice to see such young kids so generous and willing to help! So, as a studio owner and teacher, I just wanted to pass along the thanks to those girls and to let you know how sweet they were this weekend! Thanks, congrats, and good luck this dance season! well first of all i have been at weir for only 2 years and it is AMAZING! by FAR the best staff and teaching in charlotte. I would not want to be anywhere else. i have improved so much, and it is well worth it. second, everyone is so nice and we are truly one big family.. we LOVE making new friends and getting to know people from other studios! thats one of the best parts of competitions! third, our hiphop this year was choreographed in september by 2 great choreographers from an insanee hip hop troupe in chicago. and theres no point iin changing our routines once the seasons started to copy others. anyways, by far the best place i could be to fulfill my dream of dancing! love it && everyone there! Pros: great staff, nice kids, fun! I love WD!! : I have been a dancer at Weir Dancin’ since I was 9 years old and LOVE it here! I drive 40 minutes each way and have done this for 7 years since switching studios to be on a GREAT competition team! The dance training I have received at Weir Dancin’ has been the BEST available in the industry. We spend at least 6 hours a week working exclusively on dance training including leaps, turns, stretch, technique, style and of course, ballet, ballet, ballet. I guess that’s why our dancers do so well at regional, state and national competitions and win scholarships at dance workshops. Allyson and Nina have prepared us by instilling within us the discipline required to dance. They bring in fantastic guest choreographers that are well known throughout the USA in the dance world including names like Dee Caspary, Mandy Moore and Nick Lazzarini winner of So You Think You Can Dance to keep all of us on the cutting edge of dance. A quick note on audition rehearsals, they begin the first week of August and continue through the end of August. We spend the entire month of August in class 2 or 3 days a week learning choreography and combinations that will be used in our actual audition the last weekend in August. Auditions last an entire month to give all dancers a fair chance. We have so many new dancers each year and the best way to make things fair is to allow them to take class an entire month before auditioning in front of a panel of judges that does not know any of the dancers. One thing I can say with certainty about Weir Dancin’, it’s always fair. Classes are challenging, there are lots of talented dancers and it is hard to make all of the groups. But if you work hard, anything is possible at WD and you can realize your dance dreams at our studio. Hope you will come take a class soon! My daughter has learned so much here! : My daughter has been at the studio almost 6 years and I have to say that the staff and families at the studio have been an instrumental part in helping her not only grow as a dancer but with positive social skills that is very much needed with our children today. I have seen the older girls grow up together and they along with their families support one another. It is truly an extended family relationship. The competition classes are incremental and developmental and with each age group I can see levels of difficulty expand with different age groups. It is challanging enough that keeps my daughter working toward specific dance goals. While my daughter has not always made certain auditions, she would list it as one of the dances she would aim for to audition again the following year and with perserverance and dedication to her craft, she was able to prevail and succeed in her goal. We never have to PAY for an audition and with great choreographers that come in for a workshop that in itself is what we pay for not the audition. If anyone would like to audition for extra numbers, then they can, however no auditions are ever at a pay or no play situation. My daughter’s teachers have encouraged my daughter in specific areas that not only makes her a great dancer and improves in her skills but it also provides her with the skills that in the future if she wants to use that for an audition then it is helpful. If she was to audition for New York or any of the LA dance schools, she must be able to tackle those skills. I wouldn’t think of taking her out of the studio in the event she would not make a number, she just works harder the next time. What I see with how acclimated she is at the studio along with the rest of the families and their children, we wouldn’t dream of going anywhere else. I love Weir Dancin and I’ve only been there for two years! We’re rated top 50 studios in the Nation and we show it always!! I love Weir Dancin sooo much that I love to come early and stay late at dance and all of the teachers are amazing and everyone is friends with everyone and I think there is no other more fun studio and if you’re not interested in competing then we have resital classes that are even more fun!! We Love WEIR DANCIN!!! Pros: lots of great service and facilty and fun!! The Best Dance Studio around! I have been there only 4 years but the family like atmosphere with other dance familes is what keeps me coming back and staying. My children feel so supported not only by the great staff, but also from other families. Everyone gets along wonderfully and my kids have more friends here than in school. It is a true bond that they have developed that I don’t see anywhere else. The instruction of dance far exceeds my expectations and my children cannot wait until they can go again the next day. It is a studio that strives to encourage the kids in a positive way to excel and builds such self esteem that I have not had in other areas of children’s activities. I highly recommend other parents to involve their children in this quality development studio that builds character, promotes healthy lifestyles, superb fitness and top notch dance instruction. BEST in Charlotte! Fun! Committed! Excellent Training: My daughter has been dancing at Weir for a few years now and because of her training and new friendships her confidence had increased tremendously. She;s more outgoing and enjoys life more! Weir is her home away from home. fun and positive environment: Our experience at Weir has been wonderful. The instructors make a point of challenging each student and encouraging every dancer to reach his/her full potential. It is an atmosphere of encouragement, professionalism and fun. My daughter has danced at Weir Dancin’ since 2000 and has received superior dance instruction from the entire staff. She has grown into a lovely young teen and is not only a talented dancer, but a role model for other dancers thanks to the guidance received by the responsible adult staff at Weir Dancin’. Weir Dancin’ has NEVER copied a dance in all of the time we have been there. Our studio dancers have the reputation of being the friendliest kids to ever dance on the stage. They stand back stage and cheer on their competition. They have shared birthday parties with dancers from other studios! If you want to be at a studio where your dancer will learn the BEST dance technique and style available AND still have a lot of fun and make new friends from other studios, Weir Dancin’ is the place. We should know, my daughter has been there since she was in 4th grade and will be a senior in the fall. It has been worth ever dollar and hour invested! The memories we have made will last a life time. Thank YOU to the staff at Weir Dancin’. I have been part of the Weir Dancin family for about 10 years now! From day 1 i knew this is where i wanted to be:) Great Family atmosphere that i wouldn’t trade for the world! BEST STUDIO ALL AROUND !!!!!!! Weir Dancin’provides a positive dance learning experience. Offering a variety of technique classes and guest coreographers, the studio is second to none. Weir Dancing has been exceptionally great for my daughter. I have seen a tremendous amount of improvement and growth in her dance talent. The instructors care about teaching the children quality dance choregraphy. There is a team feeling and support by students and parents. This is the dance studio for all. This is a studio with dedicated and devoted teachers. Each child receives 110% from their teacher. Each child is given the opportunity to work with well known choreographers from across the country. Weir Dancin makes you feel like you are part of one big family. An AAA studio with the most qualified teachers and instruction I have seen to date. Much focus is given to personal development , team building and discipline of students. Weir Dancin’ is second to none when it comes to dedicated, caring, and highly trained staff. They are dedicated to providing their students with a comprehensive dance education. Master classes are offered frequently with instructors from New York and California. Excellent teachers, great atmosphere… perfect dance home for your son or daughter! Definitely a winning combination! Weir Dancin offers your child a great opportunity to experience dance in a positive setting. The dance teachers are extremely dedicated to your child. It is fun and challenging. Having a child with a disabilty I was concerned about how involved the teachers would be in wanting to teach my child. She is in her 10th year of dancing at this studio! It is not about a trophy or a ribbon it is about the true love of dance! Come and experience it!